Make your way to the very heart of northern Tenerife with a guided trail through the Anaga country park, where you will find many surprises. If you thought you’d seen everything on the island, then get ready for this. This tour of the Biosphere Reserve of Anaga includes scenery found nowhere else on the Canary Islands, a demonstration of a local sport that will leave you speechless, and a walk through the north of Tenerife which the explorer in you will relish. Pay close attention to everything s/he tells you. 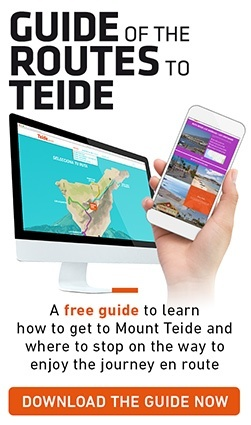 From the very beginning of the tour, the guide will tell you about La Laguna, Mount Teide, the local traditions and the terrain, all of which you will learn more about as the hike continues. Ask the guide questions and don’t hold back: make the most of this unique opportunity to explore the island with this priceless advantage. The multitude of ravines, crags, steep slopes and cliffs have always posed a challenge for the indigenous shepherds of Tenerife. The method they came up with to overcome this challenge is known as El Salto del Pastor (the Shepherd’s Leap). You can see this technique in all its splendour and see what it can achieve with a demonstration at a stop along the route. To make this visit to Anaga even more authentic, you will have an opportunity at Taborno to sample some of the local dishes exclusive to this remarkable island. As well as enabling you to learn about the gastronomic traditions of the region, this will recharge your batteries to help you reach your destination (El Pico del Inglés). After a short rest, you will return to the starting point, having completed a walk to and from the heart of the Anaga nature park, a paradise for both nature lovers and all those who are fascinated by local traditions. Tours begin daily at 9.30am (although participants should assemble at 9.00am), and at 5.00pm the transport provided will drop you back where you were picked up. Wear comfortable clothing (hiking gear is recommended, but not essential) and appropriate footwear; don’t forget to bring some warm clothing. The tour of Anaga is not recommended for children under the age of 7. It is possible that the Shepherd’s Leap may not be available on the day of your visit. The trip may be cancelled depending on weather conditions or alerts. In this case, you will receive a full refund. The cost of this guided tour is not refundable if you decide to cancel. The experience includes round trip transportation. The one-way transport leaves from the Tourist Office at Plaza España (no number) in Santa Cruz de Tenerife at 9am. If your hotel is not nearby, you will be picked-up a few minutes past 9am (depending on how many stops there are on the way). If you are going in your own car and do not want to park in Santa Cruz de Tenerife, the second meeting point is in Cruz del Carmen at 9.30am, where you will be able to park and leave your car.